Showing 61 - 71 of 71 results. 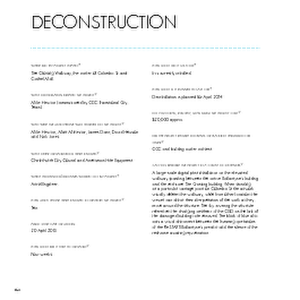 A PDF copy of pages 40-41 of the book Christchurch: The Transitional City Pt IV. 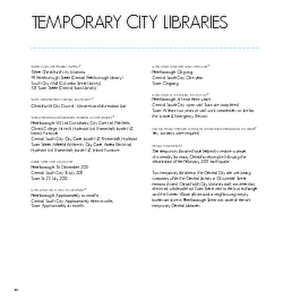 The pages document the transitional project 'Temporary City Libraries'. A PDF copy of pages 180-181 of the book Christchurch: The Transitional City Pt IV. The pages document the transitional project 'Gap Golf'. 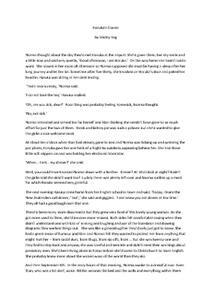 A PDF copy of pages 314-315 of the book Christchurch: The Transitional City Pt IV. 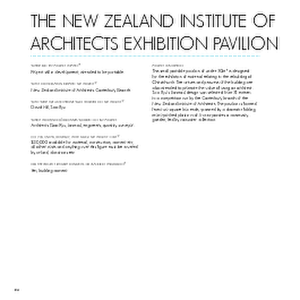 The pages document the transitional project 'The New Zealand Institute of Architects Exhibition Pavilion'. 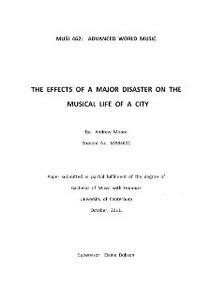 A paper submitted by Andrew Moore in partial fulfilment of the degree of Bachelor of Music with Honours, covering the effects of the Canterbury earthquakes on the musical life of Christchurch. Dissertation supervised by Dr Elaine Dobson, University of Canterbury School of Music. All photographs from The Press are copyright Fairfax Media and are used with permission. A PDF copy of pages 262-263 of the book Christchurch: The Transitional City Pt IV. 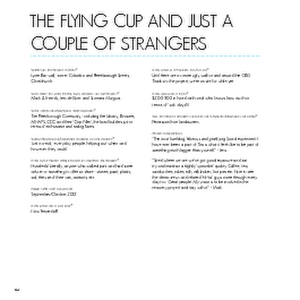 The pages document the transitional project 'The Flying Cup and Just a Couple of Strangers'. A PDF copy of pages 102-103 of the book Christchurch: The Transitional City Pt IV. 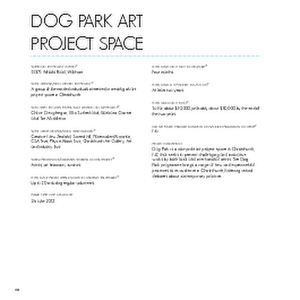 The pages document the transitional project 'Dog Park Art Project Space'. 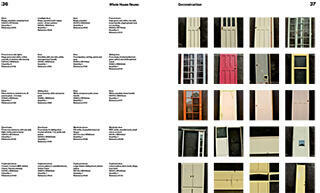 A PDF of the entire Whole House Reuse Catalogue of Resources. 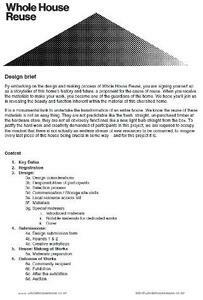 A PDF of the design brief for the Whole House Reuse Project.